Large parts of Yemen’s capital Sanaa have been taken over by Houthi rebels. 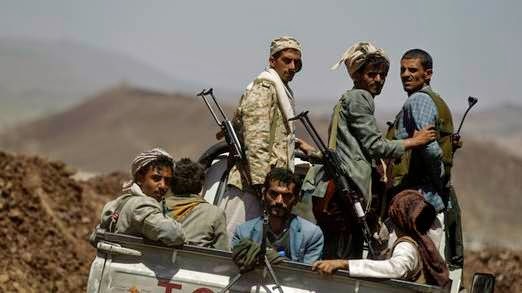 The leader of Houthi insurgents, Abdel Malik al-Houthi, described the takeover as a “successful revolution.” The rebels have taken over key government buildings in the capital, including the country’s central bank, and several military bases. Yemeni President Abed Rabbo Mansour Hadi has signed a power-sharing agreement with the rebels, who had called for the “corrupt” government to quit. Rebel leader al-Houti called the agreement a “victory for all the people.” He said the accord will lead to fuel price cuts and economic reforms. Former longtime Yemeni strongman Ali Abdullah Saleh was ousted from power amid popular Arab Spring protests in 2011. Now the Houthi insurgents are moving against Islah Party forces, the largest opposition party in the country, searching for and arresting their leaders, to consolidate their position as the sole functioning opposition force. Years of unrest following 2011 ouster of Saleh have also contributed to the rise of Al Qaeda-affiliated militants in the country. The Houthi tribesmen are predominantly Zaidi Shia, who like the mainstream Shias believe in Imamate, but otherwise are close to Sunni traditions of Islam, and unique to Yemen. Iran’s Quds Force has actively supported the Houthi insurgents since their uprisings against the government in 2011. The Islah (“Reform”) Party is a coalition of Islamist groups, including the Muslim Brotherhood, and their leader Mohammad Qahtan is considered a moderate Islamist. The party, an unorthodox alliance, also encompasses Islamic extremists and tribesmen.